…If like me you’re in holiday prep mode (T minus 9 days to go) you may already have prepared your excuses when it comes to chocolate (well the fact it doesn’t fit in with my macros isn’t an excuse, it’s the truth), however, it doesn’t necessarily have to be that way. You see I recently came across a UK based company called iMunch who specialise in delicious snacks that promote fat loss. Browsing through their ‘Morning Munch’ collection of granolas and porridges got me through one of my AM Fasted Cardio sessions but it was their ‘Naughty But Munch’ selections that really caught my eye. Especially the Chocolate Peanut Butter Bites! Although when following the iMunch plan you would simply have one of these bars as a meal replacement, I used them for my late afternoon boost before the gym and also to make some tasty Easter treats. The bites themselves have a soft, smooth texture and taste amazing, lending themselves perfectly to this recipe. 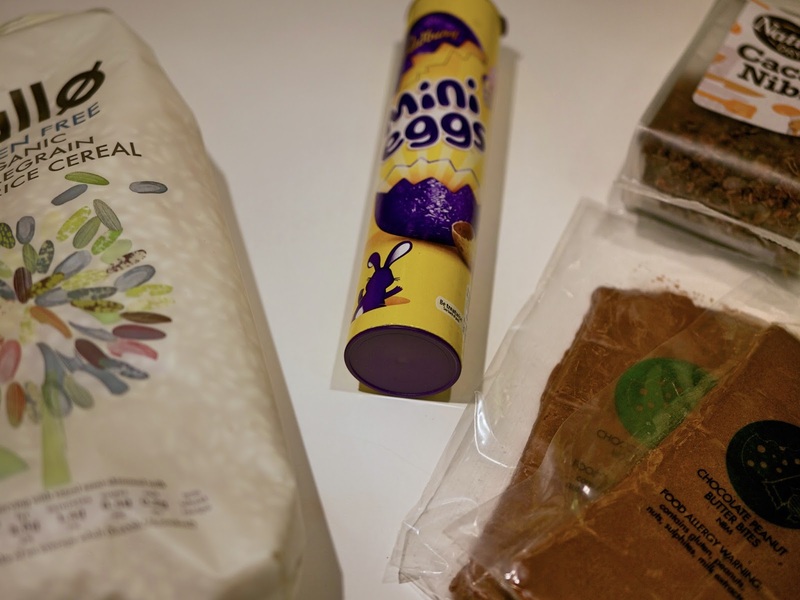 Grabbing my favourite Kallo Puffed Rice Cereal (1.5 Cups), some Cacao Nibs (2 Tsps) and some Mini Eggs I set to work. The whole process is quick and easy, only taking about 10 minutes to make in total to make 9 nests. Simply melt the Chocolate down (I mixed the iMunch bars with a little Agave, but you could mix in Honey or another syrup of your choice instead) in the microwave, stirring every 15 seconds until the mixture looks velvety smooth. Quickly stir in the cereal, evenly coating it in Chocolatey goodness and add in the Cacao Nibs and continue to stir until the mixture starts to thicken. 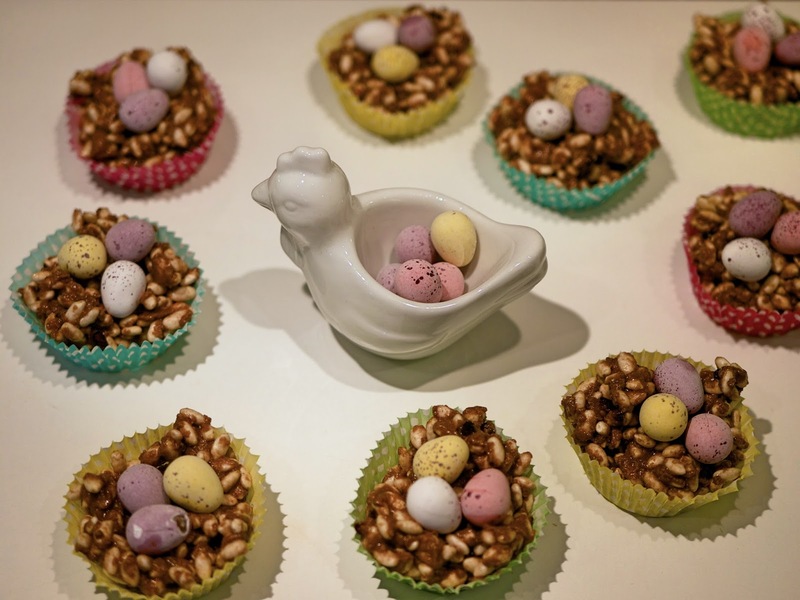 Once it does, spoon out the mixture into bun cases evenly, creating a crater in the surface with your thumb for the eggs to sit in. Pop in the fridge until set. 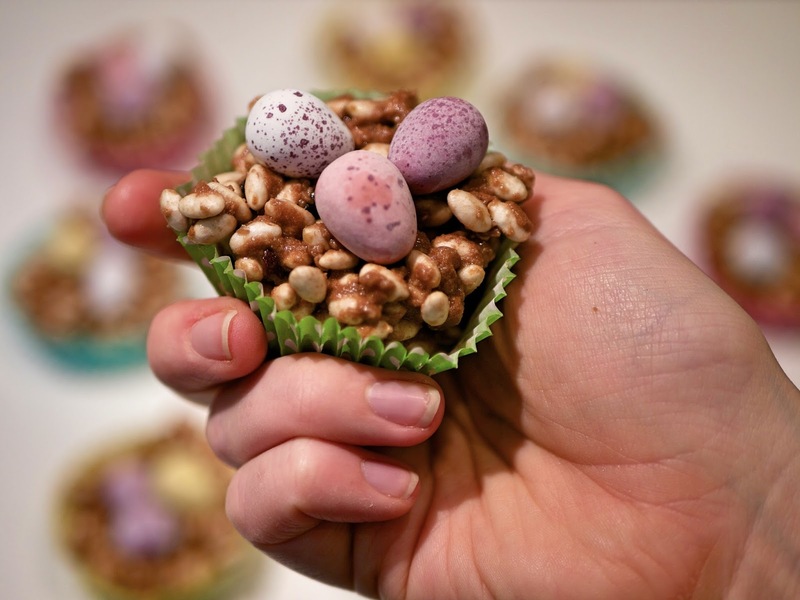 Have you whipped up a storm in the kitchen this Easter?